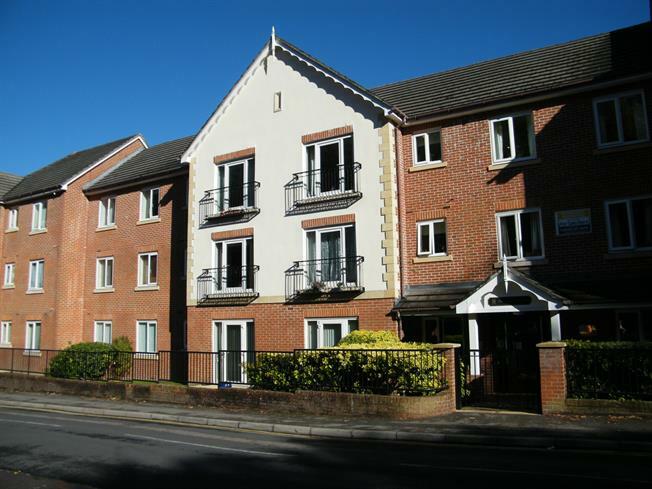 2 Bedroom Flat For Sale in Caterham for Asking Price £329,950. This exceptional apartment is situated to the front of this popular retirement block just a few hundred yards from the town centre. The property is the largest of all the flats in the development with a separate dining area from the lounge as well as two doors leading onto the gardens and patio. The lounge measures in excess of 21' and there is a modern kitchen with fitted appliances and a window to the front. As well as a shower room, there is a good sized en-suite bathroom to the master bedroom. The master bedroom also benefits from built in wardrobes and there is a second double bedroom with cupboard. Within the flat there are two storage cupboards and there are two walk in storage units on the lower ground floor. Within Pegasus Court there are a number of facilities for the residents including a lift, laundry and lounge as well as gardens and parking. The development is overseen by a house manager and there is "Careline" in all flats for added peace of mind. With doors to bedrooms, lounge and shower room. Two useful cupboards and airing cupboard. A front aspect room with door and window to patio and garden area. Feature electric fireplace and open plan to dining room. A front aspect room with door and window to the patio and gardens. A front aspect room fitted with a range of base and wall cupboard and drawer units with integrated appliances and complementary work surfaces over. A front aspect double bedroom with built in double wardrobe. Door to en-suite. Fitted with a three piece white suite comprising panel enclosed bath, low level WC and wash hand basin. Fitted with a three piece suite comprising self contained shower cubicle, low level WC and wash hand basin. Situated on the low ground floor, these two walk in storage units are great for storing items not needed every day. There are a number of facilities in the development including a house manager to oversee the day to day running. There is a residents lounge, laundry gardens and parking.